Acne is the most common skin disorder, affecting approximately 80% of people of all ages. Many people continue to have acne into their 40s and later, but that doesn’t mean you have to accept it and settle for unclear skin. There are several different treatments available at Professional Aesthetics and Wellness, which have been clinically proven to reduce acne. During your consultation with our aesthetic nurse, an evaluation of your skin is performed. You will then discuss and determine the best method treatment(s) for you. Laser Acne Therapy is a breakthrough acneic treatment that we proudly offer. This treatment utilizes a laser to kill bacteria in the skin, treating acne outbreaks to give you back the clear skin you desire. The laser excites porphyrins, which live inside bacteria, which effectively kills the bacteria. In some cases, laser acne therapy has also reduced oil levels in the skin, leaving you with healthy and clear skin. Laser Acne Therapy can be performed on most skin types and people. There is also little to no downtime nor complicated after-care required. You will be happy with your complexion and lessen your acne with simple, short treatments resulting in skin you can feel good about. 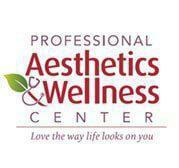 Chemical Peels are another effective method to treat active acne as well as repair acne scarring. Chemical Peels are forms of deep exfoliation that work underneath the skin's surface to achieving skin rejuvenation and resurfacing. These topical solutions have a variety of strengths and ingredients and cater to every skin type and/or skin issues. At Professional Aesthetics and Wellness Center we customize each Chemical Peel to address each individual’s skin concerns and goals. Here at Professional Aesthetics and Wellness Center, our aesthetic nurse will also discuss with your skin care treatments available for purchase to use at home to maintain, and continue to improve your complexion. Obagi, a medical grade skin care line, as well as Jan Marini skin care products, are clinically proven to improve acneic skin and are available for purchase in the office.